Known for its highly personalised experience, luxurious vessels and breath taking global destinations, Silversea has long been a favourite among discerning seafarers. 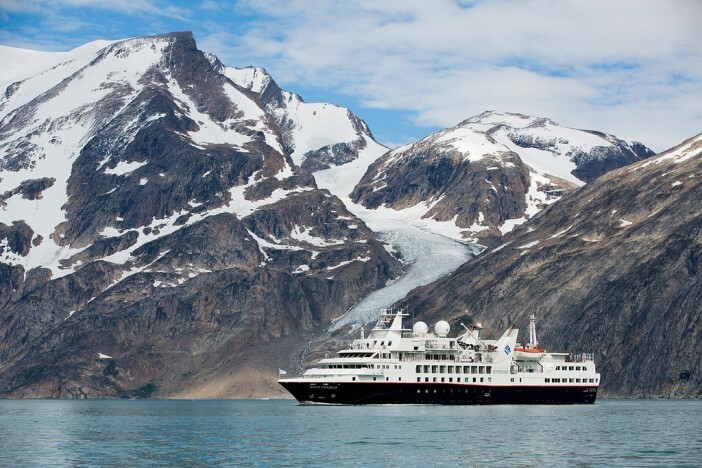 This year, the award winning line has upped the ante with an amazing new collection of specialty expeditions designed to offer passengers once in a lifetime experiences. Available on Silver Explorer, Silver Galapagos, and Silver Discoverer, this voyage is a flight of fantasy for any bird watching enthusiast. Marvel at the majesty of Alaska’s bald eagles, gaze at the blue-footed boobies of Galapagos, keep an eye out for puffins in Russia’s Far East and more. Whether you’re a casual hobbyist or a serious ornithologist, this cruise is open to all! What better way to enhance your inner health than on-board the luxurious Silver Discoverer as she traverses the idyllic waters of Southeast Asia and the South Pacific? On-board you’ll be tended to by a team of wellness specialists running everything from yoga and Pilates classes to cooking demonstrations, nutrition lectures and wellness presentations. Plus all guests are treated to a complimentary massage treatment at the spa. Pure bliss. Love to get behind the lens? You’ll go snap happy for the Photography Expedition Voyages on-board the Silver Explorer and Silver Discoverer. Refine your skills at on-board lectures and workshops, then put them into practice during inspirational photo walks and onshore adventures. It’s the perfect opportunity to capture incredible moments in some of the most exotic destinations on the planet! Submerge yourself into mesmerising underwater worlds with Silversea’s Diving Expedition Voyages. Based on Silver Discoverer, passengers uncover the subaquatic wonders of Indonesia, Micronesia, Melanesia and Polynesia with an on-board team of dedicated dive masters. Designed to tantalise the tastebuds, these European food themed cruises are a dream come true for passionate gourmands. Guests are invited to attend a myriad of culinary events, both on-board Silver Explorer and on-shore at her ports of call. From the world famous wines of Bordeaux, the fresh seafood of Bilbao and the buttery crepes of Cancale, it’s a serious slice of heaven. Flavours are enriched by cultural, historic and natural attractions along the way which make this an all-encompassing experience for zealous travellers. Want to embark on your very own voyage of discovery? Cruise 1st is currently running amazing deals on Silversea voyages that will take you to some of the world’s most breath-taking destinations.